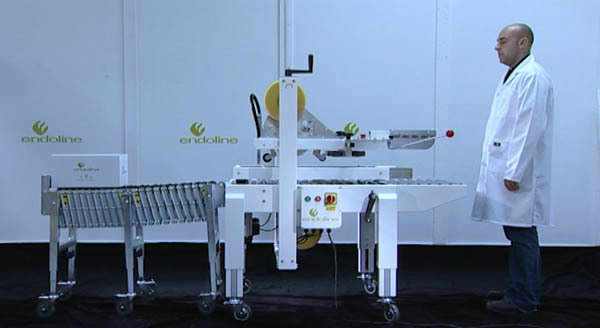 The Endoline type 610 case sealer is a semi automatic pre-set machine that seals cases with self-adhesive tape top and bottom. 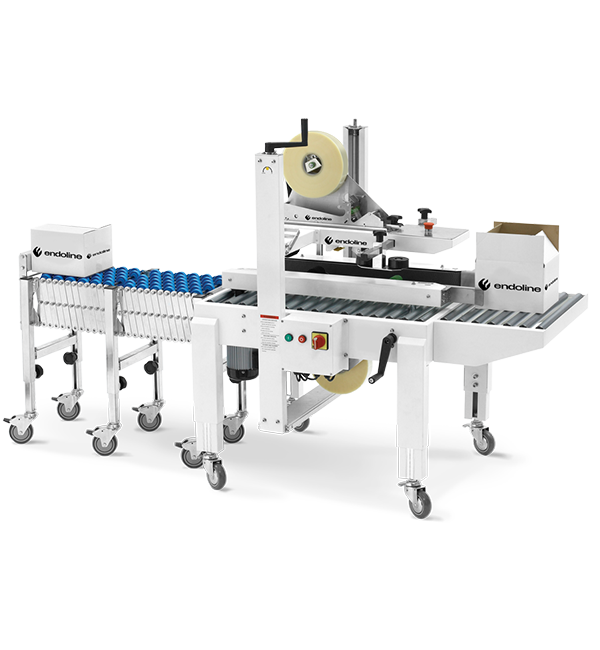 It is well-suited to single operator control, sealing consistent size cases for long prouction runs of the same case size. The type 610 case sealer machine is very simple to operate and maintain with a very quick changeover for each case size. The type 610 can handle cases between 120-990mm length, 100-500mm width and 110-500mm height.